There are many websites offering pub-quiz questions that you can either download for free, or buy. But general-knowledge is often time-sensitive (the answer to "Who is the prime-minister married to" changes at most elections) and country-specific - for example, almost everyone in Ireland knows "what town in Co Galway did the Saw Doctors come from?" - but very few people outside of Ireland have heard of either Tuam or the Doctors. Similarly, lots of people know the title of the person living at No 10 Downing Street, but not many people outside England know his/her name right now. Easy enough so that people enjoy themselves and don't feel stupid or discouraged. can be harder than it looks. Fortunately, there s a simple three-step process makes this easier. 1 Understand who will be answering the questions. Think about who is likely to attend - how are you promoting the quiz, what type of people are likely to take part. Are they young, old, sporting, musical, well educated, from an ethnic community, etc? Typically, each round is a set of questions that have something in common. They may be about the same topic, or the same type of question (eg logic puzzles). Choosing a theme or topic for each round puts some structure around your quiz, and helps you to assemble a well-balanced set of quiz-question. If the quiz is being organized by a soccer club, then the people who take part will probably know a lot about soccer (or rugby, or cricket - or whatever the club is). If the quiz is being organised by an orchestra, then participants will probably know about music in general - especially serious music. If the quiz is advertised in your local newspaper, then people will probably know a lot about the local area (since they read the local newspaper). So, based on this choose a few main themes for your questions: eg sport, history, music, art and crafts. Then choose specific topics based on those main themes. For example, if a general theme is music, the specific topics might be popular music, music theory, and name-that-song. 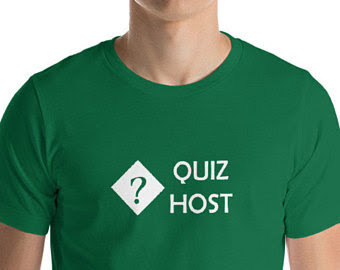 Then choose a few more general themes as well, for the sake of people who come to the quiz but who don't have the special interest: eg general knowledge, history, geography, music, art, trivia, cooking, sports, etc. There are some ideas for general themes here. 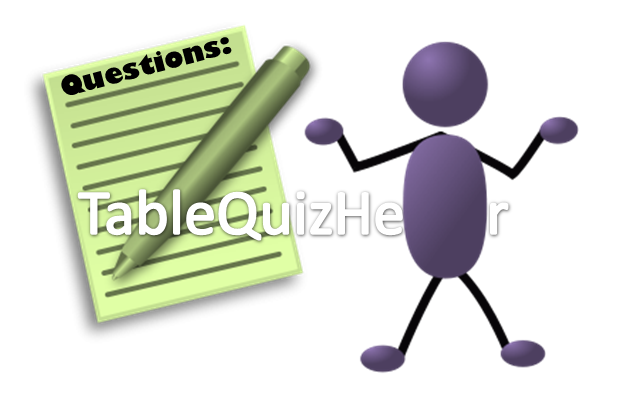 Ideally, have at least a quarter of your rounds of questions about the themes which your participants know a lot about. How many themes / rounds you need depends on how long you want the quiz to run for, and how many questions you will have in each round. Generally, a quiz would have at least five rounds with 5-10 questions in each round - but anything is possible to meet your needs. Once you have chosen the topic for each round, you need to write the specific questions that you will use. Make the rest in-between: not too hard, and not too easy. Ideally, you are looking for questions that are easy to understand, easy to read out, and have clear right / wrong answers. Try to have a mix of What, Where, When, and who questions. What colour is a ripe mango? Where would you find a polar bear? Who appoints the Governor General? Sometimes you can have Why questions, but these can be harder to mark because the answers may be subjective. In what year was the Berlin Wall opened up? If you're not sure how good your questions are, find a person who won't be attending the quiz, and who you can trust not to share the information, and test the questions out on them. Make sure that they understand how important it to not even accidentally share the themes, topics or individual questions with anyone. Make one complete set of questions and answers, including any notes about variations you will accept. This copy will be given to the markers on the night. Also make one complete set of questions without answers - this is what the quiz-master / MC will use on the night. Don't try to get the MC to work from a set of questions with answers attached - it's just too simple to accidentally read out the answer by mistake.